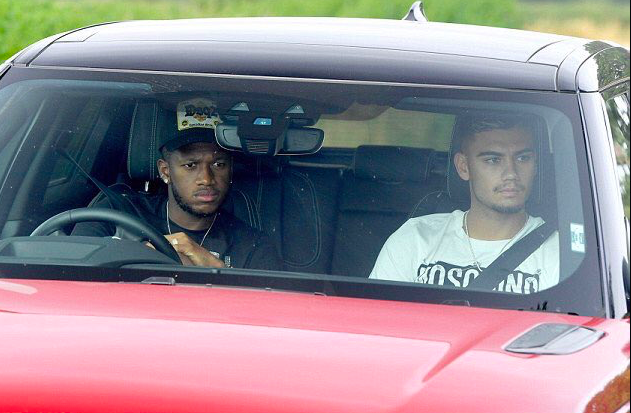 Manchester United star Andreas Pereira has revealed how he’s been helping new signing Fred settle in, believing things are going very well in that department. The Brazilian had a few decent appearances during pre-season and the hope is he can adapt to his new surroundings quickly. New players adapt at different rates with Nemanja Matic slotting in easily for example while the likes of Paul Pogba and Alexis Sanchez needed time. Fred though is desperately needed to add more dynamism and mobility to United’s midfield ahead of a crucial season for the club. With Paul Pogba still not fit and Matic recovering from injury, it’s even more important the former Shakhtar Donetsk man hits the ground running. According to the club’s official website, Andreas said: “He’s from the same country so I help him. I try to do my best to help him and all of his family that have arrived. Thankfully Pereira is helping Fred in that regard though the academy product may need some help himself due to his own absences from the first team squad. It seems this season is the first in which the youngster will truly be given the opportunity to succeed in the Red Devils midfield. Andreas enjoyed a successful loan spell at Valencia and now has to settle into a perhaps different squad to the one he’s seen throughout the years. The two players are expected to start Manchester United’s first clash of the season against Leicester City on Friday with a good start crucial to their title challenge.